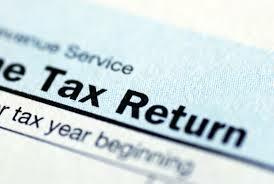 Students in the Beta Alpha Psi Free Tax Assistance group can help with noncomplicated tax returns. Accounting students in the Whitman School of Management will offer free income tax assistance to SU students, faculty and staff on three Fridays: Feb. 28 and March 21 and 28. The Beta Alpha Psi Free Tax Assistance group will be in the Flaum Grand Hall located in the Whitman Building on these days from 10 a.m.- 3 p.m.
Students from Beta Alpha Psi, the International Honor Society for Accounting students, will answer questions that cover noncomplicated individual federal and New York State tax returns that can generally be filed on IRS short forms (1040 EZ or 1040A). Taxpayers can then file their returns using free e-filing services offered through various organizations online. Individuals who have income from employment (reported on Form W-2), as well as interest and dividends, are welcome to seek assistance. The service will be offered on a first come, first-served, basis and is directed toward taxpayers who may need a little extra help figuring out their taxes.